Bonding with kids can be hard. As you may have read, it was the hardest thing to do in my life. For me, it made finding my soulmate seem like it had been a cakewalk. Think about that. Here I was, a survivor of domestic abuse, a 30 something who had to find herself again after that 13 year relationship/marriage had ended, somehow waded the waters of the dating pool and found not just a boyfriend but someone who felt like home to me, and amidst all of that I was trying to deal with bonding with kids who had a birth mother whispering in their ear about me and my intentions and lying about their father. I didn't stand a chance. Eventually, I stood up, brushed the dirt off of my face, and declared to myself: this is my life and my love. I don't know what exactly that moment happened, but I remember the overwhelming feeling. I was not The Bear That Wasn't, I knew exactly who I was and I was not going to let someone who was feeling insecure or jealous steal my sunshine. I resolved to keep being me, keep showing love, keep treating the kids as if they were my own. I reminded myself of quote and poems my Dad had loved when we were young and advice my Mom had given me when I was in high school. 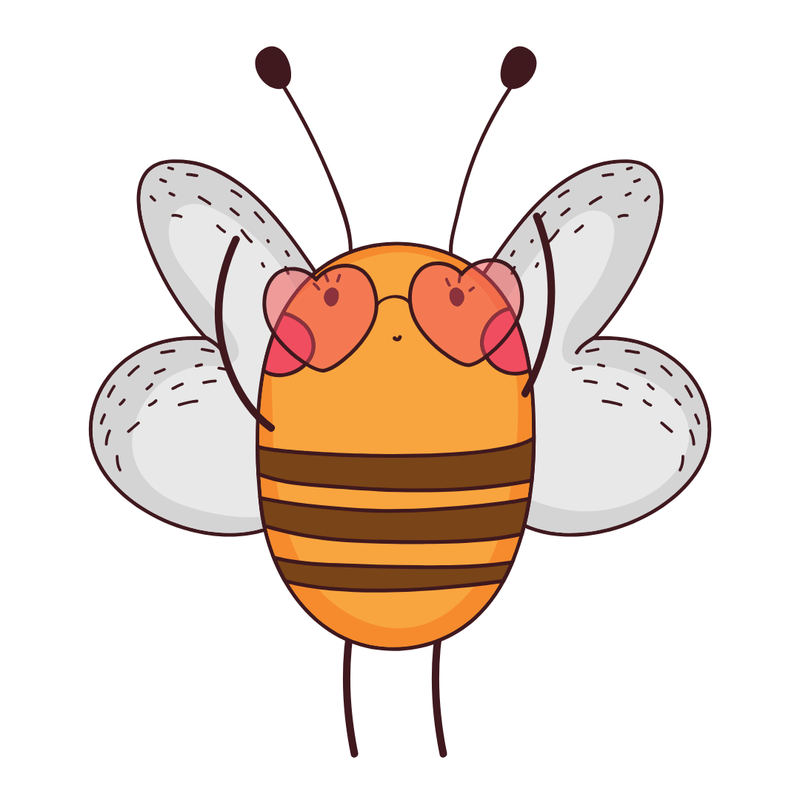 Keep loving, even the haters. Keep being you, even if it hurts. 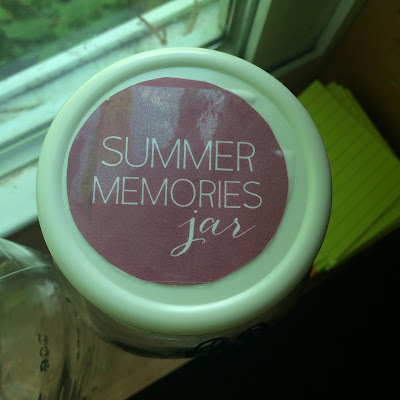 One of the first things I ever made for the kids were Summer Memories Jars. 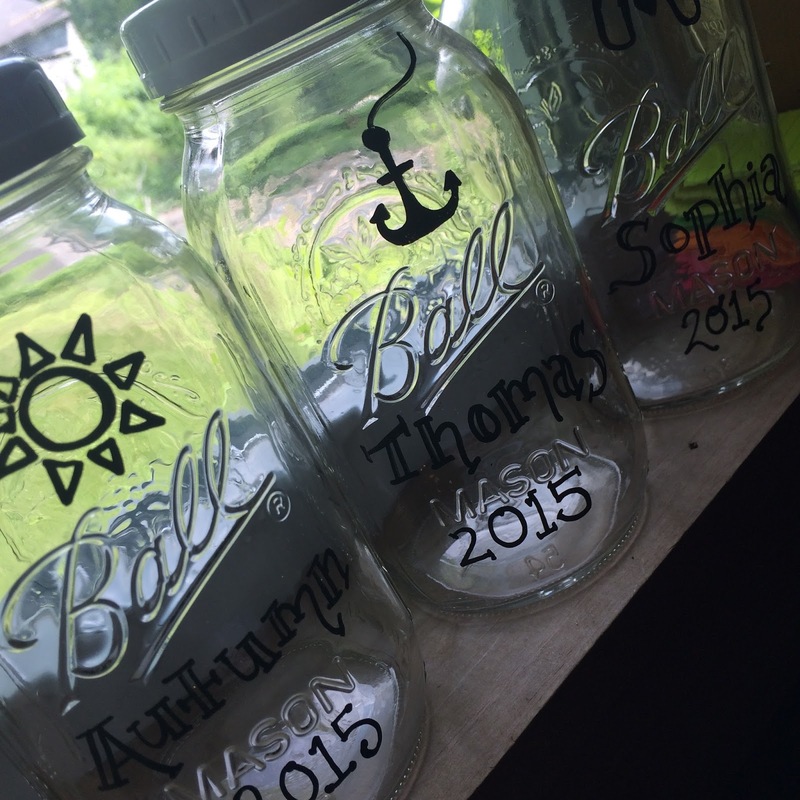 I am a hoarder of mason jars, so I had plenty on hand. I also use screw on plastic caps for my jars so this was easy peasy as well. I found these great printables online (thank you, sweet world, for pinterest) and attached them. Then I inked names and some artwork on the jars with the year to fancy them up (using black paint pens) and made them a more special gift from me to the littles. My now fiance and I had just moved in together, the kids lives were changing like crazy and finally settling into a semblance of a routine, and sweet, beautiful summer was upon us. I thought this could be one place to house all of their memories. And every Sunday morning they would sit and write down all their favorite memories of the week. This was a favorite pastime in July for the two youngest. By August they needed reminding. Even now, though, they occasionally will pull out those memory jars from a few summers ago and read the contents. 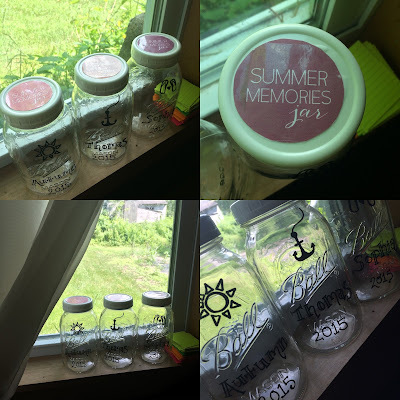 PS- I also made lovely Summer Binders that year thanks to fabulous, amazing pinterest and you can find the them here! We still rifle through these as well but the littler littles (ages 6 and 8) liked them the most.